Cheers to Cinco de Mayo! Here’s a roundup of events to celebrate Cinco de Mayo around town. This all-day festival will feature a Mezcal tasting, family-friendly fun, dancers, authentic crafts for sale, live music, and so much more. Join the Cinco de Mile fiesta starting at 11 a.m. on Washington Ave. Participarting venues include Clutch Bar Houston, Lincoln Bar Houston, Fuego’s Saloon and Concrete Cowboy. Enjoy drinks, food (including crawfish), mariachi bands, folklorico dancers, and much more, with an afterparty continuing till 2 a.m.
Saltillo is offering all-day happy hour on Saturday, 12-10 p.m.. Buy one special house margarita for $10 and get a second at just a penny more. Celebrate Cinco de Mayo with live music, a jalapeno eating contest, dancing and kids’ crafts. Dinner cruises are also available. Celebrate Cinco de Mayo with a pub crawl fiesta downtown. Proceeds go to East End Studio Gallery. 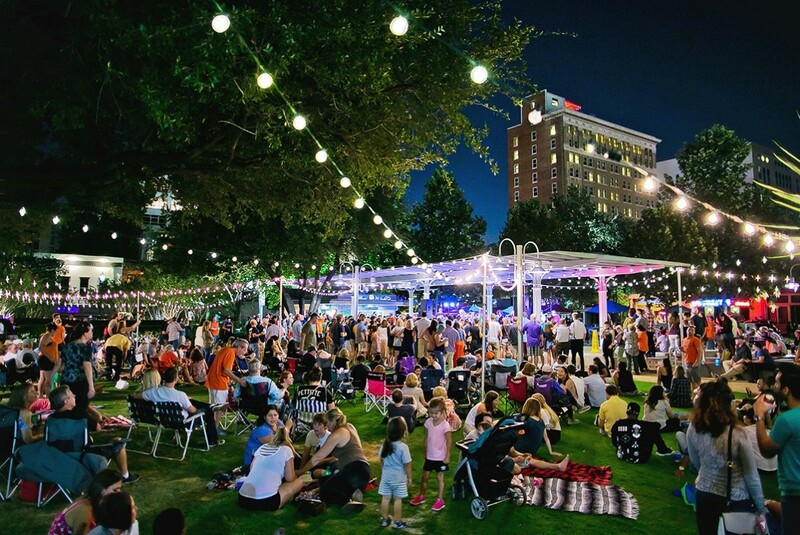 Live music, dancing, lawn games, good food and more will be on-site at Market Square Park to celebrate. Mariachi Los Camperos are performing at Miller Outdoor Theatre in honor of Cinco de Mayo. Check out this Facebook event page for updated downtown bar specials! El Big Bad will be hosting an all-day party, and most of the festivities will be found near this area. All day on the 5th, Pistolero’s is hosting an outdoor party featuring drink specials (margaritas, anyone? ), DJs, and a photobooth. Each day leading up to Cinco de Mayo, Pico’s is hosting fun themed events. On the 3rd, there is a Herradura Tequila Dinner with Global Brand Ambassador Ruben Aceves Vidrio. On the 4th, Cuatro Margarita Specials. On the 5th, DJs, dancing, margaritas, and an outdoor patio. Live music and a Doomsday Wrestling performance are just two of the things you can expect to see at Last Concert Cafe for Cinco de Mayo. Go watch the Dynamo play AND celebrate Cinco de Mayo. The first 5,000 fans to arrive at the game will receive free Loteria card sets. All day on Cinco de Mayo, both Molina’s locations will have all-day drink specials, food specials, prizes, and live music (6-10 pm). There will be frozen margaritas, beer, and free chips and queso! It’s still crawfish season! Epiphany Community Health Outreach (ECHO) is hosting an all you can eat crawfish boil open to all Houstonians. There will also be gumbo and red beans and rice. Proceeds will support ECHO. Play some family-friendly Cinco de Mayo trivia at Spanish Village and enjoy beer and margarita specials, too. Celebrate Cinco de Mayo at Xochi with food and drink specials, live mariachi music and more. See our event calendar for more upcoming events and see all of Haley's blog posts here.